Investigate your emails and troubleshoot any issues with your SPF, DKIM and DMARC configuration. 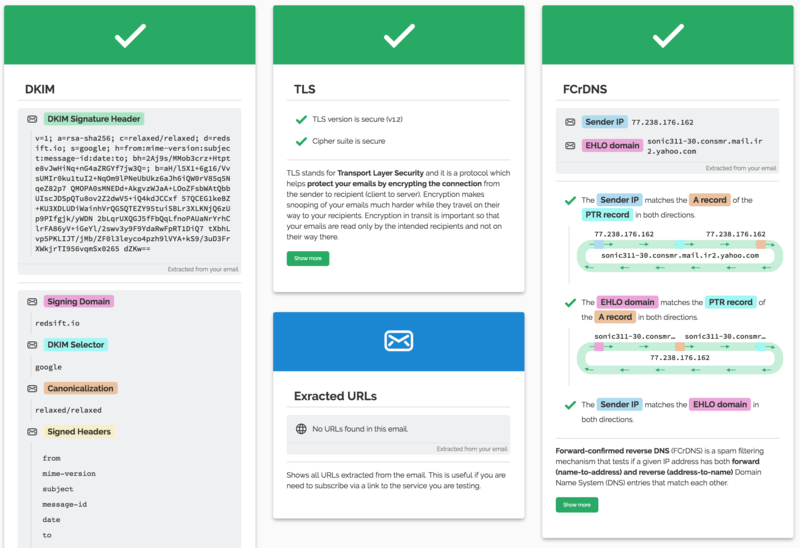 What is Investigate and how can it help you? Investigate is an OnDMARC feature that helps you detect and troubleshoot any potential issues with your email authentication from any of your email sending services. You will be provided with an unique inbox address to which you can send an email from the specific service. Investigate will analyze the results and provide you with detailed information about the following signals: SPF, DKIM, DMARC, TLS, FCrDNS, as well as any URLs contained in the email. The results will be presented to you in a card format, each corresponding to one of the signals outlined above. Each card contains detailed information about the signal and why it passed or failed. All of the highlighted keywords link to a glossary on our OnDMARC Knowledge Base article on the topic if you need further information. Once an email is received in your Investigate inbox, you can select one of four compliance profiles to see if your email setup meets the selected security recommendation. Each compliance profile verifies if a set of signals (e.g. 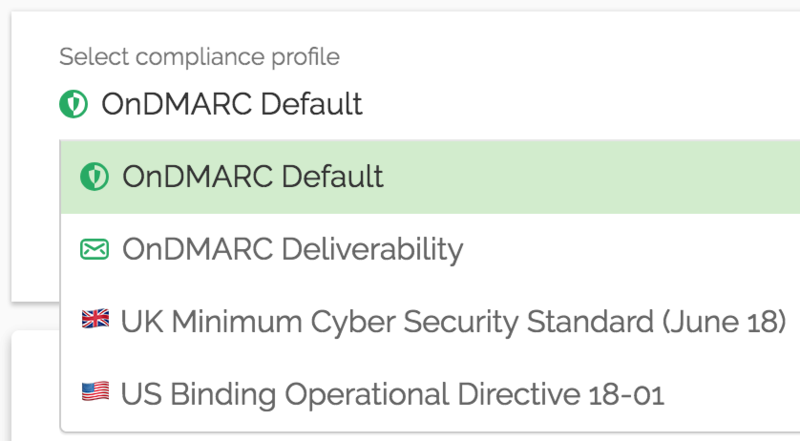 DMARC, DKIM, …) is compliant with requirements defined in a security recommendation. For example, the Deliverability profile checks that DMARC, DKIM, SPF are setup and that the email service uses TLS to send an email. For more information about each compliance profile please follow the links below.